"Radstehbolzen, 1/2″ Rechtsgewinde 0,620″ Knurl"
Knurl Diameter (in. ): 0.620 in. Knurl Length (in): 0.594 in. Overall Length (in): 1.938 in. Notes: Be sure to check your existing knurl diameter, length, and thread size for proper fit. When it comes to your vehicle's wheels, don't take chances. 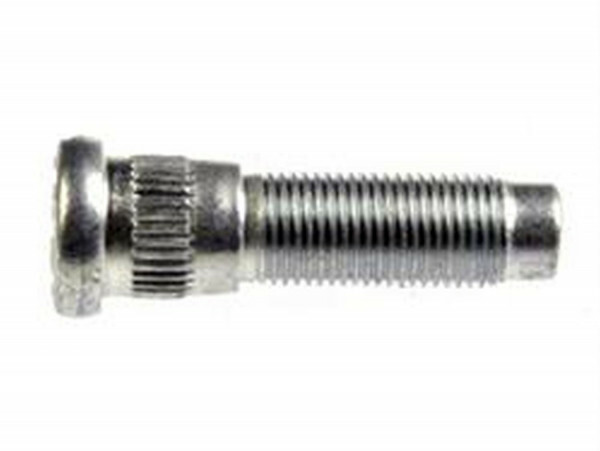 Replace your rusted, worn, or bent original equipment wheel studs with these Dorman wheel studs. They're manufactured from quality materials and are available in different thread sizes to fit your specific application. Reifen, Sportsman S/T, P 245/60-15, Radial, 1,753 lbs.